A quick note before I start to bloviate. I have been watching FALLING SKIES as part of a social effort online called ARMY OF INFLUENCE. In that effort, Twitter is the major vehicle to talk about the show, and use a hashtag #fsincentivized in the tweets to allow them to be scored against other Army members. 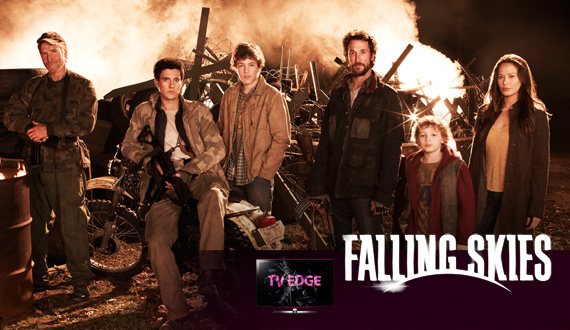 There is a prize at the end of the effort, a walk-on role on FALLING SKIES. However, that is not of real importance to me. While it would be nice, I am more interested in learning how this might work and maybe be able to utilize it in the future. Until 2 years ago, I was the GM of a major Philly video store chain, but was laid off as the stores were lined up to close. Since then, I have found out that I have contracted NSIP, a relatively rare lung disease, the cause of which is not known. It is not a smoker’s disease. I have picked it up somewhere in the last 2 ½ to 3 years, but it only manifested itself in the last year or so, causing a scarring on my left lung to cut its capacity to under 50%. It is irreversible and has caused to to be declared disabled. Read back a few posts for more info on that. I only mention it now because it is the reason I am doing this effort, to see what I can learn that I can utilize later. So, as I tweet and write these blog posts, I will try to tell you what I am thinking as well as seeing. I am not doing a full recap nor a true review, as I hope that you will watch and judge for yourselves. These are MY thoughts and feelings, not right nor wrong, but what I am getting out of the show. 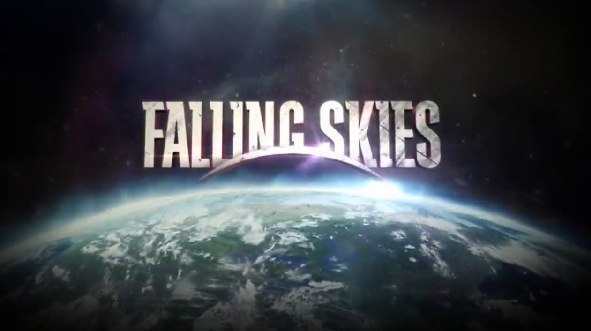 We are now four episodes into FALLING SKIES and, at least for me, I am thrilled to see that the show stays rooted more in humanity rather than in alien showmanship. That is what attracted me to the show in the beginning, the chance that it would follow a more cerebral brand of science fiction, one where human traits were not just cartoonish reactions to ugly monsters. Last nights’ episode was simply title GRACE. Five simple letters, one simple word and one which has a spiritual connotation. Yet that one simple word needs to be used simply or it becomes preachy and overbearing. Last night, you could say it wasn’t used until the final scene, but actually, a more loose definition of it could be seen throughout the episode. One of the plot threads this week was the connection between Ricky, the young boy who had his harness removed last week, and the captured Skitter. Ricky, though freed of all but the studs of the harness, still is out cold, only snaps to attention when the Skitter seems to command it. All is done through some sort of psychic connection. Despite the removal of the harness, Ricky seems to have no memory of his father nor a desire to be free of the harness. It is learned that Ricky had Cystic Fibrosis, which is now cured during his time in the harness. Reasons are unknown, but expect that to factor in later. Anne and Dr. Harris observe the captured Skitter in its cage, trying to learn the intelligence and communication levels. It is safe to assume that any alien invasion that knew to take out our armies first and then attack the cities has to understand who we are and how we communicate. Now, we have to do the same. Harris is the more matter of fact of the two, trying picture recognition and some verbal activity to get responses. However, Anne is pulled into a more compassionate move. Is it governed by how the Skitter reacts to her, or is the Skitter able to recognize this compassion and try to use it to its advantage? Again, these scenes all depend on our own human thoughts, emotions, reactions, and suspicions. This is both how we utilize them and how we try to project and discover them in the aliens. Do the Skitters know so much about our inner workings that they can manipulate us? As we saw last week, they are not above psychological warfare to keep us in check. As I describe all of this, trying not to give away any major spoilers, it quickly becomes obvious to me that we are watching a war film as much as science-fiction film. The only real difference is that these are from another world, not another country. Too much of the maneuvers and movements of the Skitters and Mechs, and who knows what else, are reminiscent of war maneuvers. In fact, you can even feel a Cold War undercurrent in some of the story. The aliens use EMPs, which is a nuclear fear. These knock out 90% of the world’s population including all of our armies, and disable most modern technology. For Americans, the war is fought on our own soil, an invasion, which was the fear in the early sixties. The school where the 2nd Mass is headquartered was originally JOHN F KENNEDY HIGH SCHOOL, a Massachusetts native son, but also the president during some of the greatest nuclear war fears. The EMP bombs drop our mechanical capabilities back to a pre 1980 level, back to before the Cold War ended and right back into the paranoia of those times. Pope is sent to go with Tom and some others to look for motorcycles as transportation. An aside: John Pope is full of snide side comments, such as when he bemoans the fact that they won’t give him a gun with the remark “What am I, Canadian?”. Pope is fascinating because, unlike the cartoonish figure we saw in the second episode, you can see that there are a ton of layers. Is he crazy, cunning, calculating, compassionate, or a lone wolf? Or all of these? Pope of course, is Pope. When the nesting habits of the Skitters is discovered, he takes on a gung-ho” lets take them out” attitude, only to be held in check by Tom, who cautions that firing the guns draw attention to themselves. As a point, it seems that the Skitters and Mechs are not as concerned about small groups, only large gatherings. The fact that they sleep during the day, and in packs hanging upside down leads you to believe they are nocturnal. When they reach the motorcycles, Pope decides that it is time to go Lone Wolf. He manages to escape on a chopper, seemingly to run away. 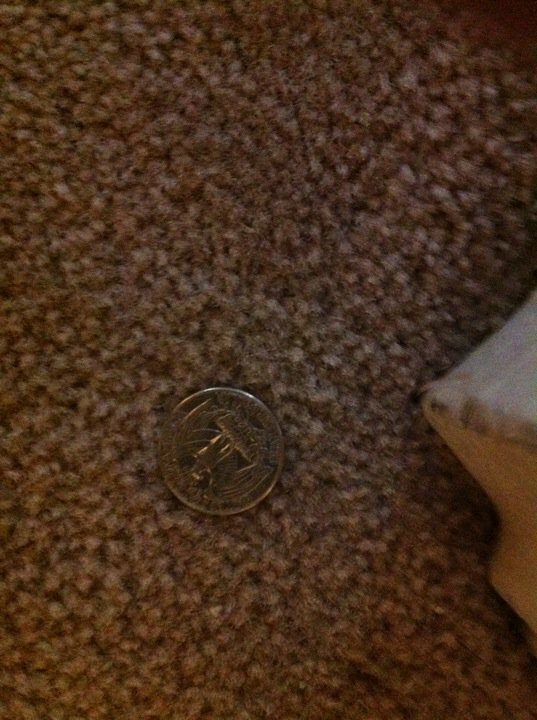 However, it is discovered that he went back and attacked the Skitters nest. This in turn has brought a group of harnessed kids to the cycle shop with machine guns. They are deadly, that is for sure, but they react to motivation and to movement. They fire when they detect action. They are not accompanied by a Mech this time, but Dai and Tom do have to fight off the controlling Skitter. That allows the 2ndMass brigade to roar off safely, since without the Skitter to control, the kids seem to be almost unable to act. Back at the base, Tom’s youngest son Matt has been given the job of communications officer. Not much of a job when there is not ability to broadcast. However, you never know what may still be out there, so you listen. It is during this listening that static appears on the radio, seemingly caused by the heightened level of anger or fear caused when the captive Skitter is shown a dead Skitter. His palpable anguish seems to create a radio field. This manifests itself a few times as the Skitter is provoked or attempting communication with Steve. This Skitter connection causes Steve to get up and reattach the harness to himself, which immediately grows back into his spine. The growth and look of the harness almost seems to be biological not mechanical. This movement seems to be at the command of the captive alien. However, the subsequent scene also begs the question about who may really be who. Steve communicates for the alien and tells them to either let him go or kill him. There is no emotional connection is Steve’s message. This coldness and bluntness causes Steve’s father to rip the harness off of Steve and Steve collapses. However, is Steve really dead or done in this story? In addition, this is the third time, by my count, that a variation on the question first asked last week is mentioned. Is it worth a death to save lives? The episode ends on a very quiet, peaceful note. A Grace note, if you will. It seems that Pope baked a lot of fresh bread for the brigade before they left for the cycles, probably knowing he wasn’t planning to come back, but also because he simply is not a bad guy, just a lone wolf. He cares, but in his own way. About this time, Tom also mentions that the area that they are in is starting to become bare of food and supplies to raid, implying that it may soon be time to move on. That allows the meal scene at the end to take on the feel of a final meal before moving on. A time to reflect, to relax, to ask for grace. And to be with one another. That ends this episode not on a cliffhanger, but on an open ended note. The quietness of this scene lulls you. However, it also feels like a great chapter change is coming next week. Some religious symbolism can be seen in the episode. John’s last name is Pope, Lourdes(the grotto in France where a vision of the Virgin Mary was believed to have occurred) is a great believer in faith and prayer, the meal at the end could be seen as a last supper, and the ability of the aliens to be able to understand us means that we are not the only God-created beings in the universe. The episode title GRACE becomes a religious action. I may be posting a few questions later in the week, after rewatching, but for now, enjoy the grace of of Day of Independence, the 4th Of July. Enjoy the food, family, fun, and fireworks. Celebrate our past because it informs our future. Summer is when TV lets us escape. Networks check their brains at the door anymore and schedule umpteen variations on the same three or four reality show formulas. That leaves cable the room to introduce scripted series designed to run three months or so for a season. FALLING SKIES on TNT is once such ambitious entry. 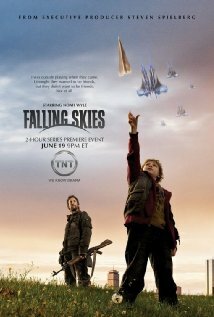 As I’ve made the distinction in my previous blogpost about the first two episodes, FALLING SKIES is science fiction as opposed to sci-fi. To me, science fiction is more classic, with a strong emphasis on the human elements as much as seeing the creatures/invaders/marauders/thingees from some distant planet. Science fiction is about the journey, sci-fi is about the payoff. 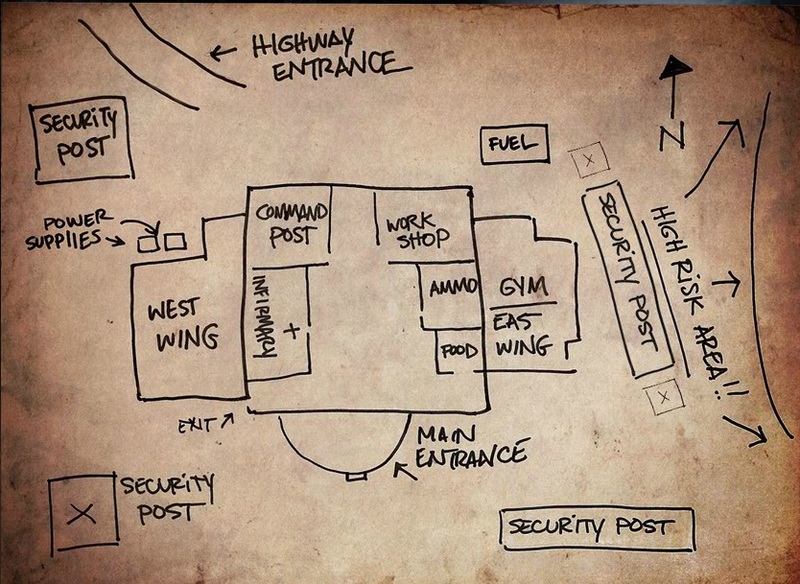 In last weeks Episode 3:PRISONERS OF WAR, Falling Skies is really taking on a dual personality. Yes, this is about aliens who have come and disrupted our lives, destroyed our cities, ripped apart our families, enslaved our kin, and cause the citizens to become refugees. In addition, it has also caused the need for a resistance to form to battle the oppressors. If you read those last couple of sentences, you can easily apply every attribute to a war film as well. For as much as the enemy are strange beings with unknown motives, they are purely an invading army, come here to conqueror us. STARSHIP TROOPERS had much the same feel, albeit with more flashy tech. It was a WWII “Gung Ho!” film in disguise. Think of all the good war films you have seen and you can draw learned parallels to the story unfolding on the TV screen. Even the episode title “Prisoners Of War” is absent of any space illusions whatsoever. This story has many humans captured in a prisoner camp. They are held in check by “harnesses” which attach and grow into the spinal column and nervous system, making the wearer subservient to the wishes and commands of the captors. This can parallel any number of war films where the captors are rumored or shown doing mind control experiments. In fact, these are even similar to the mind-control efforts in films like the MANCHURIAN CANDIDATE. We’ve already seen a row of the captive children gunned down by a Mech in order to show the humans that they captors will resort to this kind of vicious psychological warfare to keeps us terrified. The children blankly line up and stand there as commanded, either oblivious or numb to what is being asked of them. The big questions comes in the “A-Ha” moment at the end of the episode, when a captured Skitters begins to stir. As he opens his eyes, a child who has been freed of most of the harness but is still in a drug like state also opens his eyes, not with a natural look, but with a look of being called or commanded to. This little action at the end of the episode made me start to look back. We’ve seen the scenes of the children being forced marched and scavenging for metal parts. We’ve seen them come and remove a new captive. And we’ve seen them obediently come out and line up to be executed. What we not yet seen is exactly how the captors communicate these commands to the captives. We’ve yet to learn about their ability to communicate with themselves as well as with us. To control can be done by intimidation. To command needs communication. We’ve also seen how this show is as much about human emotion as it is about conflict. For the second time, a rescue or mission has fallen apart because of one character breaking rank to rescue a loved one or animal. These may be resistance fighters, but the invasion is only 6 months old, and 6 months ago, these were family, friends and neighbors. They have a lot to learn about military maneuvers, and a way to go to take the emotion out of the equation. 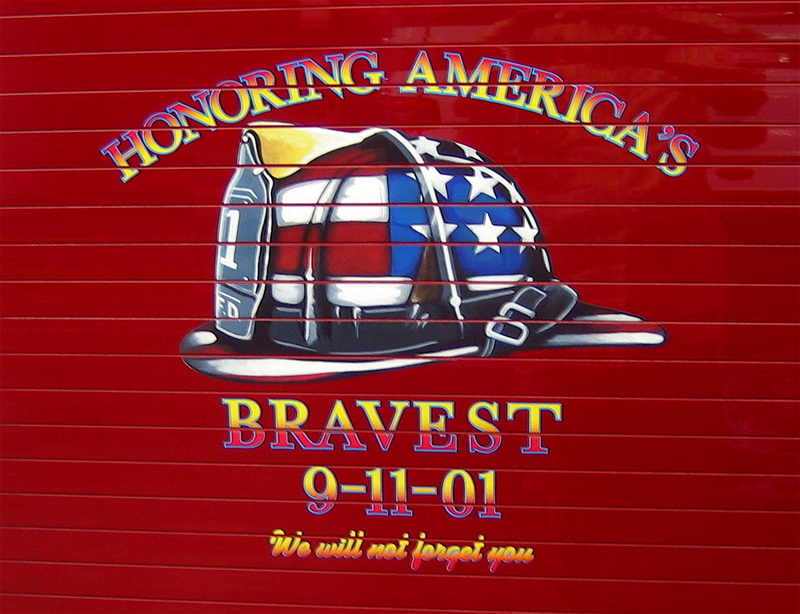 In war, the battle is fought “over there”, this is fought right here. The American spirit is all over the show. From backdrops that include historical tableaus to Tom Mason drawing connections to American history, this is about us and about the US. Even the way each resistance unit is composed shows a great compassion and need for each other, with 100 fighters supported by 200 civilians. This is brought home even stronger when Tom returns from a surveillance mission and is surrounded by civilians with pictures of their missing children. The arrival of Steven Weber as Dr. Harris, whose involvement with a food run that resulted in the death of Tom’s wife will be a major point of contention and conflict in the series. Weber plays “smug” like nobody else, and this smugness and coldness will help make the scenes with Tom that much edgier. However, Dr. Harris has learned a lot in six months, and is able to remove the harness without killing a child. The need and ability to know “what makes them tick” is important. Otherwise, the resistance will fail. 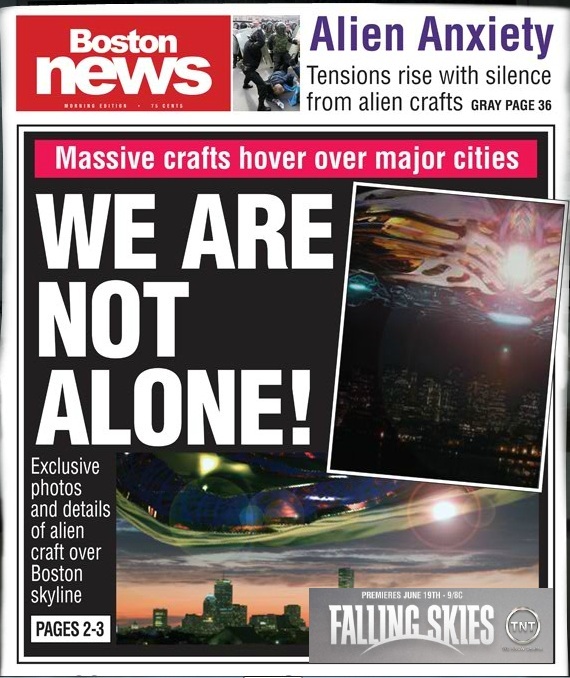 The news that there are other pockets of resistance spread around the country both gives us comfort that “we are not alone” and apprehension about the scope and damage of the alien invasion. That means that the danger spreads outside of the 2ndmass area and adds the possible need to connect at some point to finally overcome the invasion. Again, the human element, not the fact that the invaders are from outer space, is what will drive this story. One of the basic human needs, communication, is something that we still have to discover in the aliens. 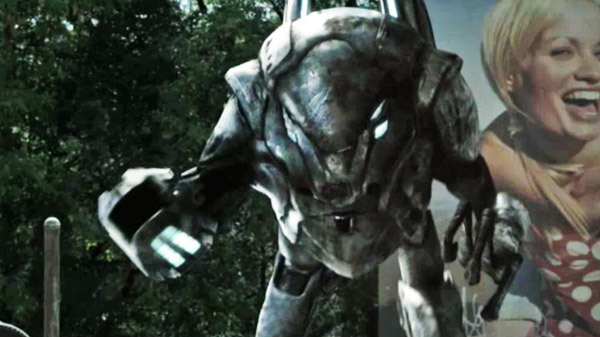 It seems that the Skitters are in charge of the Mechs, yet these are probably not the only aliens we will meet. We’ve yet to see communication with the towering structure that sits over Boston. We still do not know exactly how they communicate commands to the harnessed children, and judging by the final scene, we do not know what beyond the harnesses might create a connection between captor and captive. The show offers a very deep and harrowing human question twice during the show, although phrasing it differently. When Tom returns to the school command headquarters in the beginning of the episode, he is questioned about how the first surveillance mission went awry. It is put to Tom if it is worth the death of civilians to save one life. Later in the show, Dr. Harris asks a similar question of Tom. That opens the door for the realization that they will not save everybody. The decisions will focus on the good of the whole vs. the good of the individual. Going forward, I am very intrigued by how the show builds its future on what we all have experienced and learned throughout history. This is about us, not the aliens, and that is why I am getting hooked.